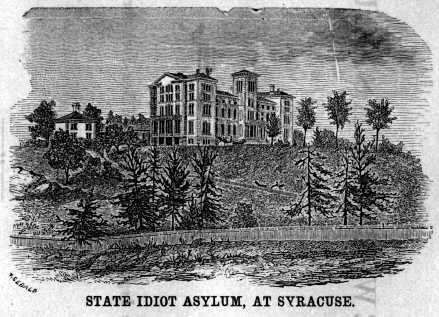 Authorized in 1851, the New York State Asylum for Idiots received its first "pupils" in 1883. The Syracuse State School building was torn down in the 1970s, and the number of patients has dwindled to a very few in recent years. Source for information and image: "A Short History of Hospitals in Syracuse"